Women cadres from the Malathy, Leopard, Sothiya, Sea Tigers and Anparasy brigades, Land Mine Division, Lt. Col. Kuttisri Mortar division, Military Strategy division, and Intelligence division are actively participating in the sports events, the sources said. A 15 km marathon was organized on the 5th of September which started in Puthukudiyiruppu and ended at the Red Barna junction in Visuvamadu. Col. Soosai of the Sea Tigers was the chief guest for the event. The following day a 30 km cycle race started in front of Puthukudiyiruppu Hero's cemetary and ended at the Paranthan junction with Col. Gadaffi as the guest. 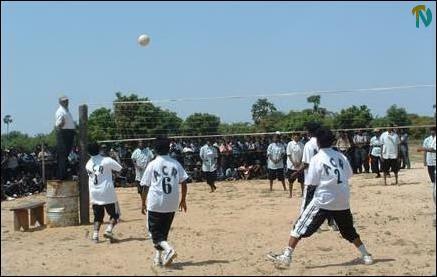 A Hurdles competition was held on September 7 with Lt. Col. Arivu and Col. Theepan of the Northern front as the guests. Another Hurdles competition was held on September 8, with Ms. Tharshika of the Anparasy brigade, Col. Thurka, the special commander of the Sothiya brigade, and women’s political wing leader Ms. Thamilini as special guests. 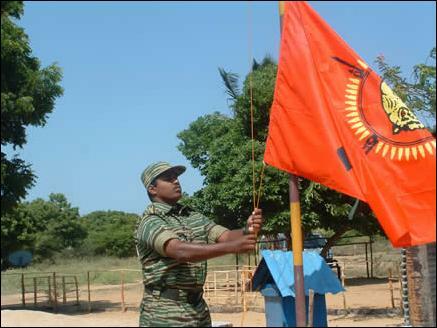 On September 14, a Volley Ball competition among the women’s brigades was held, with Mr. Gopal, the commander of the Kuttisri Mortar brigade, raised the Tamil eelam flag. 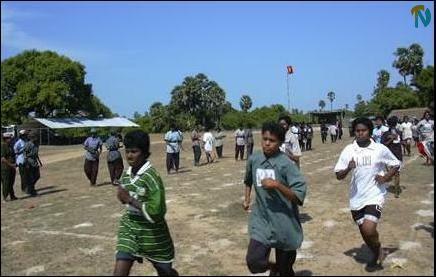 Teams from Sothiya Brigade, LTTE Political Head Quarters, Anbarasi Brigade, Mine Clearing Group, Sea Tigers, Leopard Brigade, Military Education Group and other teams took part in the event. Organizers of the events say several other events are scheduled for the coming days.